The Pure is the latest addition to Gaastra’s kite range. 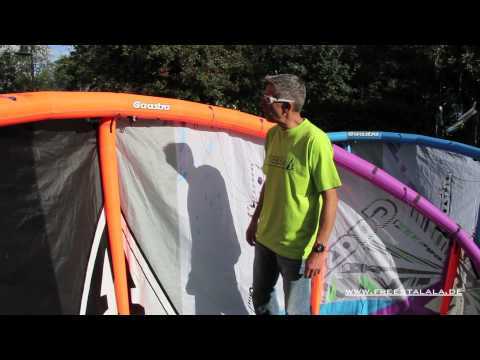 It is a high performance competition freestyle C SLE kite designed for dedicated riders. The Pure offers a Direct C Kite feeling, an athletic bar pressure and clean, fluid turns around the tip. Apart from outstanding freestyle performance, the kite offers amazing wave and wakestyle potential. Gaastra has designed the Pure especially for the riders that need no compromise performance. Unreal C-Kite Feeling, combined with the advantages of state of the art technology make the Pure an exceptional machine. The compact C-Kite platform used to develop the Pure provides easy depower, excellent control and high boost capabilities. A center profile with the max draft set further back assures optimal stability, as well as insane pop. A three strut configuration reduces overall weight, while also allowing the kite to generate more power when needed. The Logic V bridle system which uses no pulleys assures a direct control and increased stability. Anti Tangle Webbing at the strut ends prevents the lines catching a strut end and simplifies relaunch. The kite features self rescue handles attached to the inside of the tip. These loops ease the operation of a self rescue in case of emergency and allow the kite to drag the rider to the beach safely. 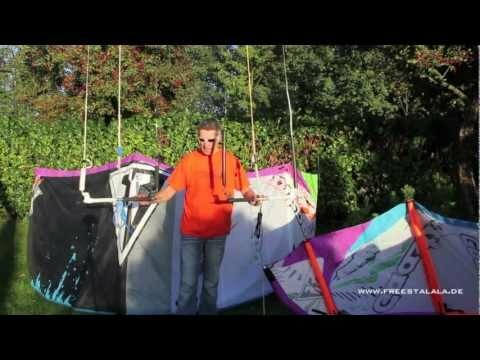 Due to the Adaptive Tune features, the rider can set up the kite to meet his exact needs in terms of turning speed, bar pressure, pop, speed and more. The Pure features a Full Dacron Frame which assures unmatched resistance to wear and heavy loads. Evolved from the original Bar System X, the bar System X2 is a highly versatile all in one control bar. It provides precise control and reliable safety at all times. It has lots of features to serve all your kiting needs and works with all Gaastra kites as well as most all other brands on the market.